is an elaborate 1888 Eastlake cottage in Eureka, California that is currently an elegant bed and breakfast inn and historic house museum. 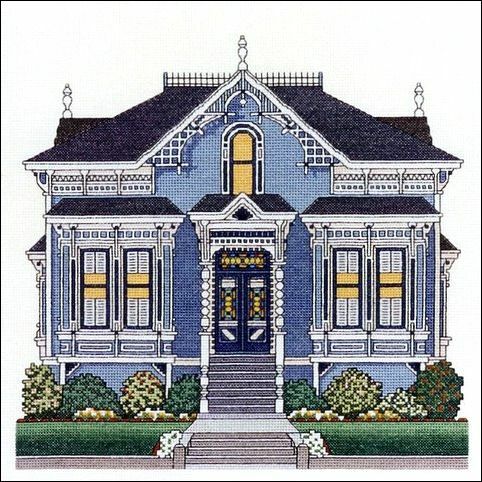 The main color of the design is antique blue with white trim. Stitch count is 157w x 154h.